2017 has been an annus mirabilis for the arts in Chester. Theatre, cinema, music, literature, comedy, sculpture and visual art – all have been shared and celebrated in a great coming together of local people and visitors. It has been devoured by a public evidently hungry for more. It has been a summer of love. In May, the wonderful Storyhouse opened its doors revealing a stunning new theatre, a restored cinema, and the relocated city library. Artistic director Alex Clifton has said he wanted this to be “…a hub for invigorating creativity and a unique resource for our diverse, proud community”. That vision has become a reality in spectacular fashion. In early July a major sculpture exhibition began at the Cathedral – bringing the world into the Cathedral, and the Cathedral into the city. 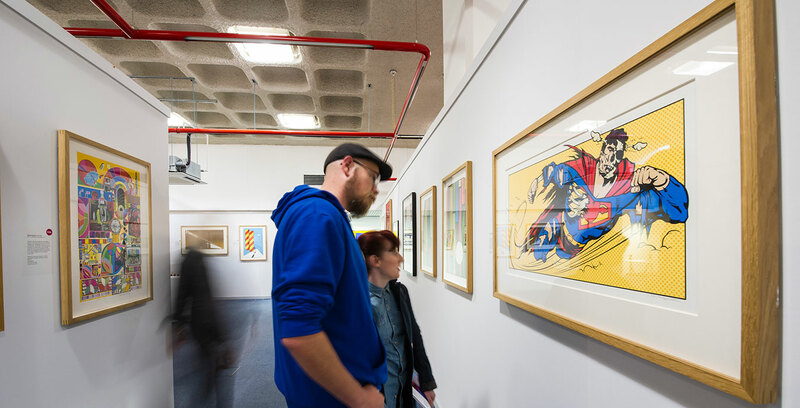 And before the end of July an exhibition of Pop Art in Print on loan from the Victoria and Albert Museum opened at the former library building on Northgate Street. Three months later, over 15,000 people had seen that show and overwhelmingly they have asked for more. Like many people, I went to see the pop art exhibition as a curious passer-by with no specific knowledge of that type of art – other than having lived through a large portion of the period. I emerged as one of the many volunteers who have tended the exhibits and welcomed our fellow citizens. It has been a powerful and emotional experience. It’s not the art itself that’s made the difference. It’s been the people who had the vision and passion to get this organised. 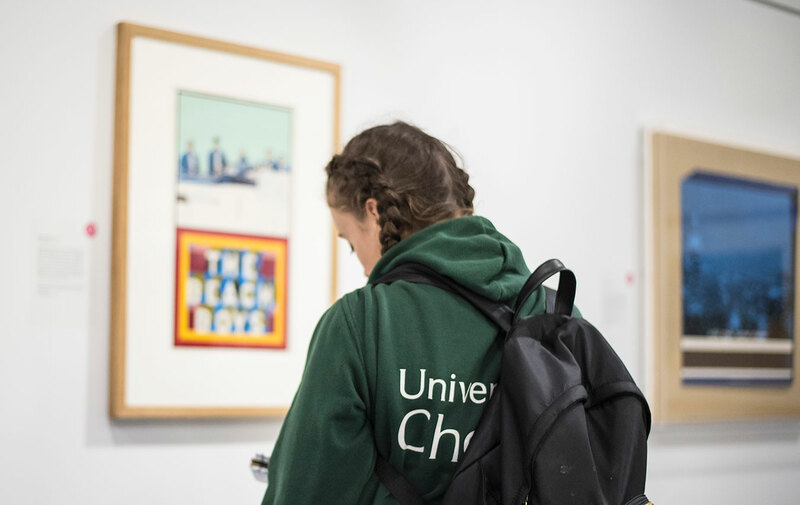 And then it’s been about meeting the many, many people like me who didn’t necessarily know a lot about art – but we knew we were looking for something more to enrich Chester, and here it was. Artistic inspiration is one thing, but none of this happens without a great deal of patience, hard work and determination. Cynthia and Ian Short created Chester Visual Arts only in 2016 and have brought together a number of crucial individuals and organisations to give us something special. How else does world class art come to this small but beautiful city? The V&A is one of the most important cultural institutions of its kind in the world – they took little persuading to entrust some of their collection to Chester. They wanted to be here. 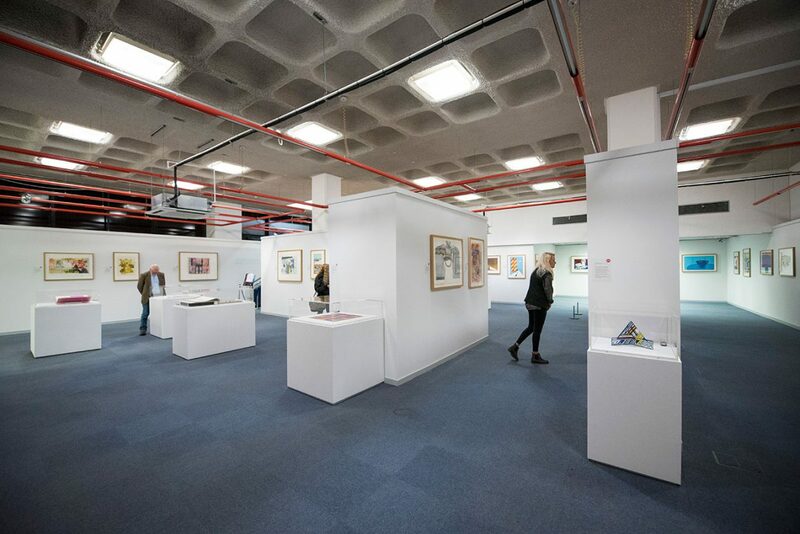 And it is to the great credit of Cheshire West & Chester Council (CWaC) that they made available the well known former library for the duration of the exhibition. Rather than lying empty awaiting it’s redevelopment, a striking building has sprung back into the artistic heart of the city. We’ve become accustomed to hearing our politicians tell us that we can’t have first rate cultural provision (and other common goods) without a strong economy. In one sense it’s a self-evident proposition, but it can also be quite easily be inverted. And my cross-party mantra is: you can’t have a strong economy without securing the well-being of your people, including an excellent cultural offering. I suspect we’re both right, so we needn’t fall out about it. The momentum has to be maintained. The public appetite is clearly there and Chester Visual Arts has proved that they can attract the art to satisfy our hunger. The will and the means already exists. Watch this space.